Stephani Hecht is the author of the Blue Line Hockey romance series, published by Extacy books. The first book in the series came out at the beginning of 2011, and the 5th title, shown below, came out in May of the same year. Why am I telling you this? you might ask. Well. 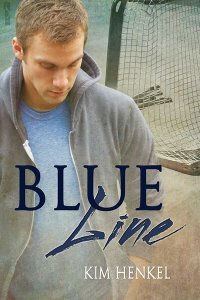 In a few days Silver Publishing is going to be releasing a Hockey-themed romance title, called Blue Line. And here is the cover. Yes, I know the underlying stock photo is not exclusive, but when you put it all together--this is not a good look. Is the implication that it's intentional? Because it strikes me as a weird coincidence. Very weird, considering the guy's not even dressed for hockey, but it's clear that a lot of work went into that second cover (not a slapped together job, that's some professional design work). In fact, the second one looks much nicer. Not sure what the point of deliberately copying an old one would be. My thought is pretty much what you said. It's a pretty weird coincidence given that the stock photo seems not to be implicitly hockey-related. Is it the same cover artist perhaps? I know a few who reuse images for similar themed books at different publishers. I've seen it happen more than once too. Is Blue Line a common hockey term? 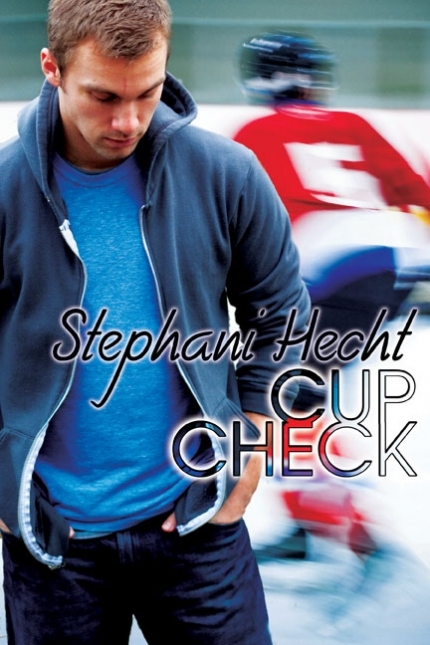 Otherwise I find it suspicious that the book not only has a VERY similar cover with the same model, but the title is also the same as Stephanie's Blue Line series title. But maybe a blue line in hockey is the equivalent of the one yard line in football and isn't unique in any way. I dunno, never watched hockey. There are two blue lines on a hockey rink. They separate each team's area from the neutral zone in the middle. The neutral zone (aka centre ice) is split in half by a red centre line. There are various rules associated with the crossing of lines, in particular the blue ones. The covers... seem way too coincidental. Υou've made some decent points there. I checked on the net for additional information about the issue and found most people will go along with your views on this web site.